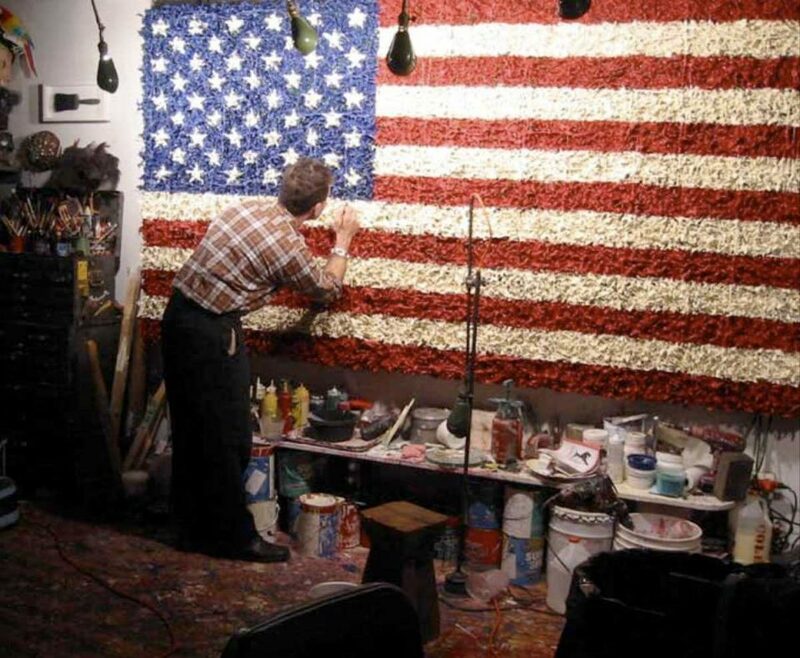 America‘s stars & stripes flag evokes different feelings in different people, such as artists whose creative expression is displayed via Old Glory. 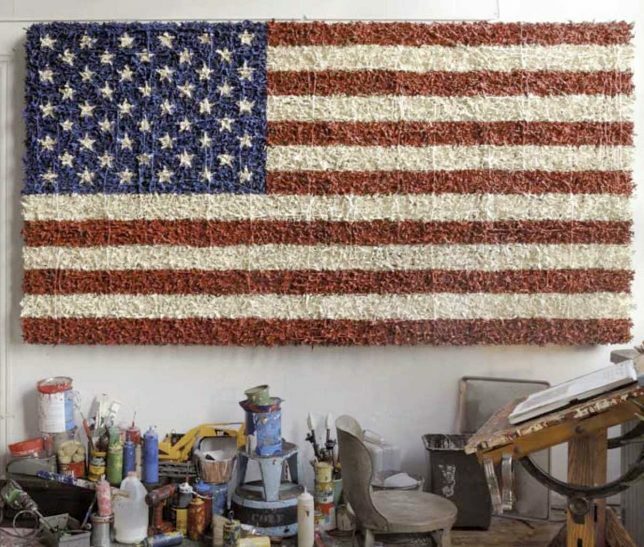 Visual artist Dave Cole created “Memorial Flag” from roughly 18,000 plastic toy soldiers and lots of red, white and blue paint. 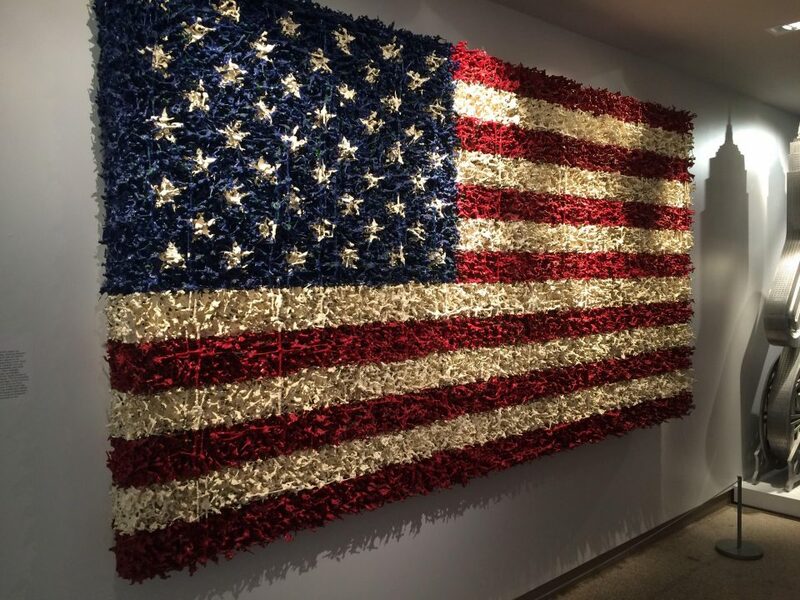 The work was displayed at the 21c Museum in Durham, NC in 2005, where it was given a place of honor as the first artwork visitors to the museum would encounter. 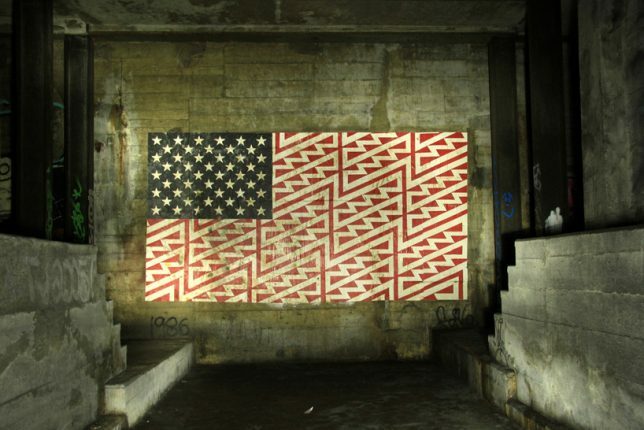 This striking zig-zag flag was painted by street-art collaborative FAILE for the Underbelly Project, held at an abandoned Brooklyn subway station in the summer of 2010. 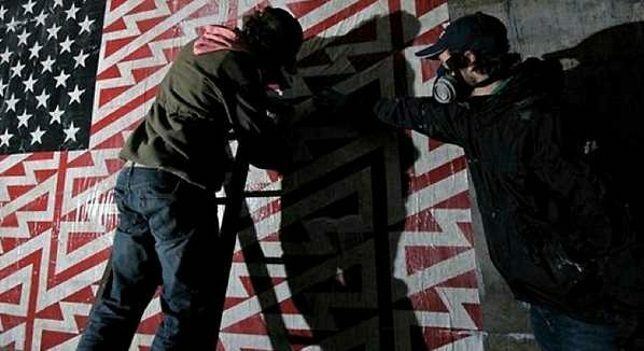 FAILE was one of 103 street artists from all over the world who participated in the unusual art exhibition – unusual because it was (a) illegal and (b) closed the very same night it opened because of (a). 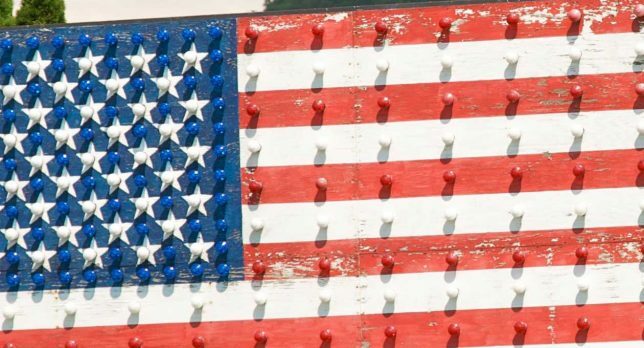 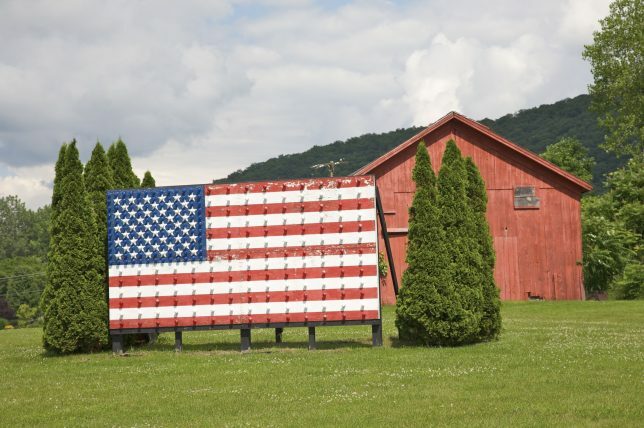 Call it a case of advertising patriotism: a billboard in Wingdale (Dutchess County), New York now serves as a huge, unmoving flag made from painted wood slats and hundreds of round drawer knobs. 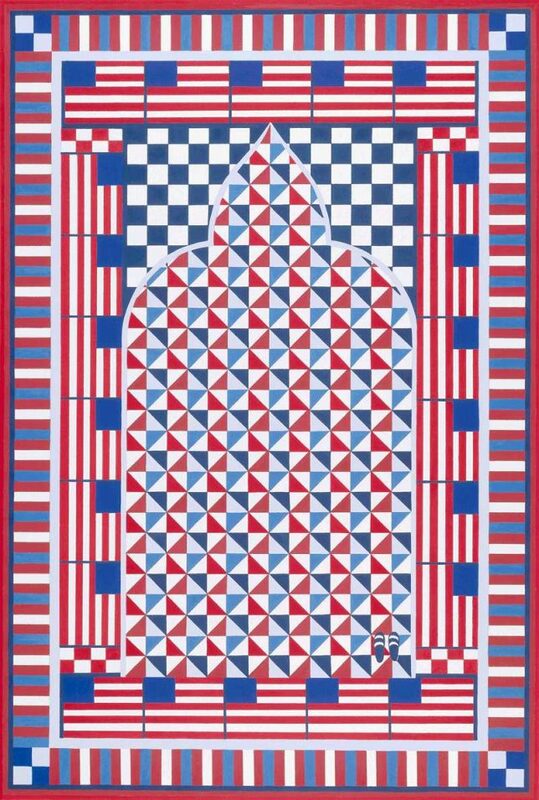 Someone somewhere is having a LOT of trouble getting dressed in the morning.